If you hadn’t heard the news by now, yesterday Google announced the end of Google Places as we used-to-know it. In it’s place is an updated version of Google Plus, which has now officially merged with Google Places. There has been a lot written already about the change and a lot of panic has ensued. The way we see it, not much has changed yet..but be prepared Google Plus is here to stay. 1) Your business has 2 fronts – For the time being, your business page will have two faces – Google Places and Google Plus. You can still login to your accounts the same way you’ve been accustomed to logging in. You will, however, notice that if you are logged into your G+ account. Google is now showing you how many times you’ve visited a particular business page. At some point we expect there to be a single login – from your G+ page but for now nothing has changed. 2) Customers will have to review you differently – There will be different steps needed to be taken for a customer to rate your business. The steps will involve guiding your customer through a Google Plus Set up process if they don’t already have an account. Yes, Google is forcing more people to use their service and we do not expect this to slow down in any way, shape, or form. We also believe that this may also force people to start using the Plus 1 button more often to rate you. Reviews will still be critical to your success in Places but the Plus 1 button will also start to take on an increasingly important role. 3) Google Circles – Getting into the consideration set of potential customers will also start involving the need to be placed in Social Circles, via the Google Plus Circles feature. The more Plus 1’s, reviews, and circles you are in, the better your site will fare. While the news about the merge is large, the steps to ranking well under these new conditions remain. Provide a good service, solicit positive reviews from your happy customers, get into more social circles, and you should be fine. We have not seen any shake-up whatsoever in the ranking algorithm since the announcement. However, with this merge, we expect Google Plus to play a more active role in your results moving forward. 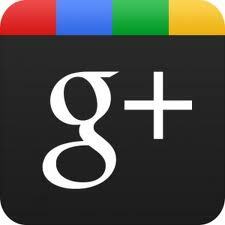 Time to embrace Google Plus, it isn’t going anywhere, anytime soon. LEGO Star Wars III: The Clone Wars Missing Character Locations: Rebel Commando. It is the most delightful and fascinating journey you will ever take. The choice is up to you stop this and produce the necessary turnaround. get the Star Wars license and now they have to get their money’s worth. But if you are a beginner, simply do your best to match story elements to this structure.